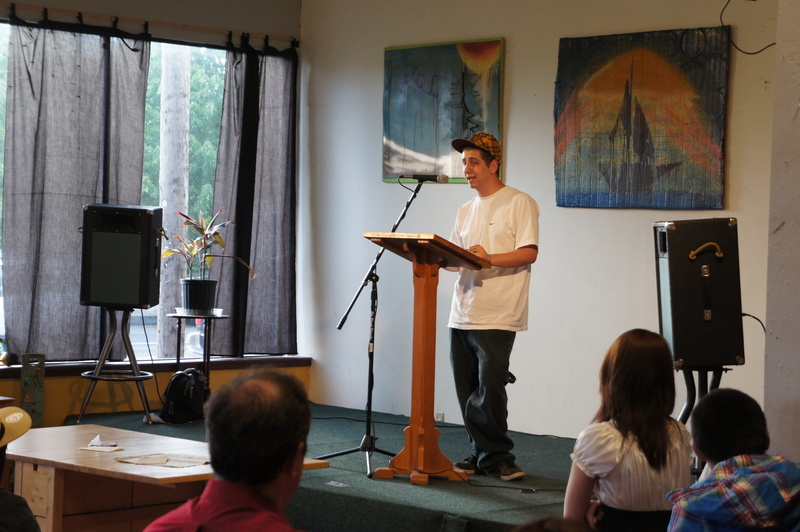 During the 2010-2011 school year the WITS program of Literary Arts in Portland, Oregon employed 23 professional writers to teach 49 semester-long creative writing residencies, serving all of Portland Public School’s high schools and several alternative programs. WITS coordinated 13 student readings at local bookstores, cafes and libraries. A whopping 181 students publically shared their writing with friends, classmates, families and community members. World-renowned writers such as poet Natasha Trethewey and comic artist Art Spielgelman visited schools, and WITS partnered with Multnomah County Library on Everybody Reads, providing books, tickets and transportation to over 900 students and teachers to see Wes Moore author of The Other Wes Moore. WITS convened its annual WITS Summit to support WITS-like writing programs throughout Oregon, and piloted a College Essay Writing Workshop where trained volunteers worked one on one with high school juniors and seniors on the essays they need for college and scholarship applications. The WITS anthology No One Carries an Umbrella Here showcases student poetry, prose, drama and comics, and additional student work can be found on the WITS blog W.o.o.t.s. and in the WITS digital chapbooks. For more details about the WITS program of Literary Arts in Portland, read the full WITS Report.